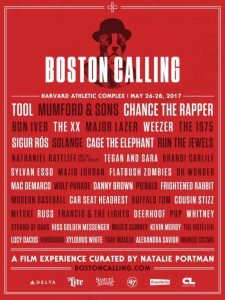 Tickets are available at www.bostoncalling.com. Boston Calling 2017 will see 11 new vendors in General Admission, including local barbecue standout The Smoke Shop, which will serve menu items featuring Pulled Pork, Chopped Brisket, and Smoked Chicken, including the BBQ Bomb, a cone-shaped waffle filled with queso mac and cheese, BBQ beans, coleslaw, pulled pork, chopped brisket, or smoked chicken, and topped with jalapenos, Moyzilla, a popular area food truck known for its Asian street food, including Hand Folded Pork and Red Cabbage Dumplings, and Stone and Skillet, which will delight festivalgoers with their English Muffin Pizzas. The festival also welcomes the locally loved El Pelon Taqueria, offering Tacos and Burrito Bowls, vegan dessert favorite FoMu, which will bring its signature coconut milk based ice cream to Boston Calling, and the Shuck Food Truck, which in true New England fashion, will serve Lobster Rolls and Oysters on the Half Shell, available in both General Admission and VIP. In addition to the newcomers, some of Boston Calling’s all-star vendors will return to the festival, including local burger icon Tasty Burger, setting up two locations on the festival grounds, Zinneken’s Waffles, bringing its Belgian waffle concoctions like The Sin, with banana and nutella, and Whole Heart Provisions, serving its signature veggie bowls, such as the Viet Style, with roasted broccoli, smashed cucumber, blistered green beans, cured tomato, basil, peanut crumble, and spicy peanut dressing. Adding to the wide range of food options for 2017, VIP and Platinum ticketholders will have access to a select menu from acclaimed Boston restaurants and chefs. In VIP, Will Gilson, Chef and owner of Puritan & Company will offer Grilled Pork, Organic Salmon, and Free Range Chicken in Tacos, Bowls, and Sandwiches, while Brendan Pelley, Chef of Doretta Taverna & Raw Bar, will serve Chicken Souvlaki and Ancient Grain Salad. Each night of the festival, Platinum ticketholders will be able to experience chef-driven dinner service from a local culinary talent such as Alden & Harlow’s Chef and owner Michael Scelfo on Friday, Commonwealth’s Chef and owner Nookie Postal on Saturday, and Chef Gilson from Puritan & Company on Sunday. Notable dishes on the menu in Platinum include Pickled Corn Pancakes with Maple, Buttermilk, and Shishito from Chef Scelfo and Grilled Chorizo with Red Cabbage Curtido, Lime, and Spicy Crema from Chef Postal. In addition, a variety of craft cocktails will be available for Platinum ticketholders to purchase. 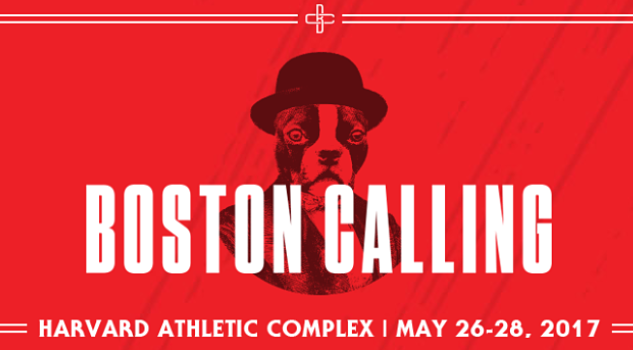 To wash down all that great food, Boston Calling will serve an assortment of beers in both General Admission and VIP. The festival welcomes back hometown favorite Samuel Adams, which will serve a wide range of its brews, including seasonal selections like Porch Rocker and Raspberry Lemon Gose. Fan favorites Miller Lite andMiller High Life will be available and Mikkeller Brewing will once again offer its special Boston Calling beer, the BC Dream Hoppy Pilsner, among an assortment of some of its other specialty brews, available at the festival’s Mikkeller Craft Beer Bar. Wine lovers can enjoy Dark Horse Wines’ Cabernet and Rosé, while Dunkin’ Donutshot and iced coffee, a variety of sodas, bottled water and assorted Red Bull flavors will also be available. ROCK’N DERBY Check It Out!